I have been reading a book whose title is 13 Things Mentally Strong People Don’t Do. This is a really good book for me. I have learned a lot from it. I knew something was not right with me, but I couldn’t tell exactly what it was. This book has been helping me understand my weaknesses. This is by no means a religious book, but I think there are lots of principles which are related to what Christ says in the gospels. It is highly recommended if you want to improve your life and keep mentally healthy. I know I am not mentally strong, so I needed to read this. But some of you have been practicing these principles written in this book all the time. In April, a military retired person, Bro. 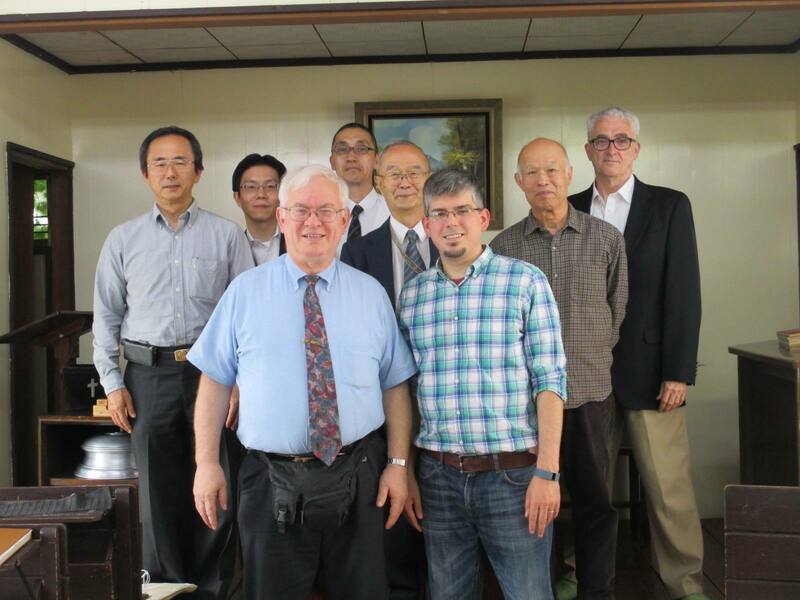 Ed Linebaugh is coming to help the Yokota congregation and have a Gospel meeting. He will stay upstairs of the church building for 45 days. I have already set up a bed for him. In July, brother Paul Crouch and seven members from Newalla Church of Christ will also come to help us. They will have VBS for us. Brother Paul is a former member of the Yokota congregation. He was with us from 2003-5. He raised a lot of money for the building project. His presence with us was a great help to us. Without him whom God sent us, we wouldn’t have built the new building. Thank God for his help. Some people are not able to attend the worship service. Some are too timid to come, and others have to work on Sundays. I have made a video message on YouTube especially for those non-Christians who need to hear the basic teachings of the Bible. We have bought a video camera and tripod and other equipment to make it possible. I will make seven messages for the next seven months. This year’s trip to Japan began August 7, 2018, when we arrived at Haneda Airport in southeast Tokyo. Our first goal was to set up the office and bedroom. Since we have done this so many times, we were able to do this in a few hours. 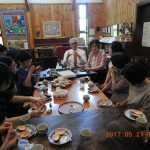 The main lessons for the Japan School of Evangelism [JSE] Summer Special Series were on Last Things. The first objective was to get these lessons translated into Japanese along with a couple of sermons and a lecture for camp. The first three or four weeks were primarily working on these lessons and working up vocabulary. The Japanese word of the topic Last Things is Shumatsuron [終末論]. In the midst of doing this, we worshiped with the Tachikawa, Omika, and Numazu churches our first three Sundays. Dwight preached by request from Lamentations at Tachikawa and preached the lesson again the following Sunday at Omika. On our return from Omika, we stopped in Tomobe to see Marlin and Jeanne Ray. They were going to leave that week for India for medical treatment. An extra surprise was the opportunity to see brother and sister Ataka who happened to stop in for a visit. Marlin later died in India October 10 waiting for a lung transplant. JSE classes for the semester were held on Wednesdays at Tachikawa so we were able to fellowship with the students at lunch. 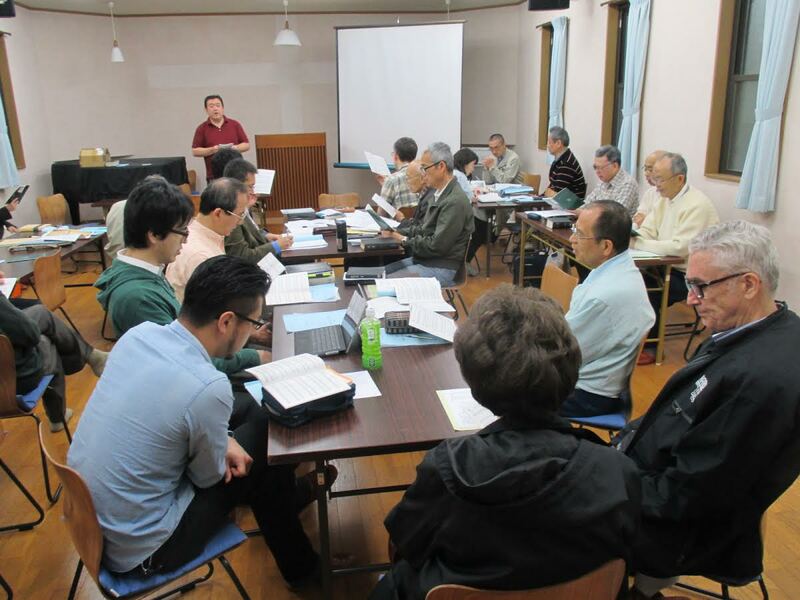 They were finishing a semester of study on the Prison Epistles taught by Masa Nonogaki. For three Wednesday evenings, we worshiped with the Yokota military congregation. Dwight shared two lessons with them. The congregation has two families with ten children. 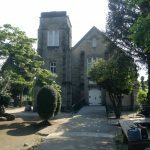 Masa Nonogaki continues to work with them in addition to the Japanese congregation which meets in the same building. The Ochanomizu church camp at Hakone was again a time of refreshing and fellowship. Tokyo was especially hot and the camp gave us the opportunity to get away to a cooler spot. We were unable to see Mt. Fuji the whole time due to clouds. 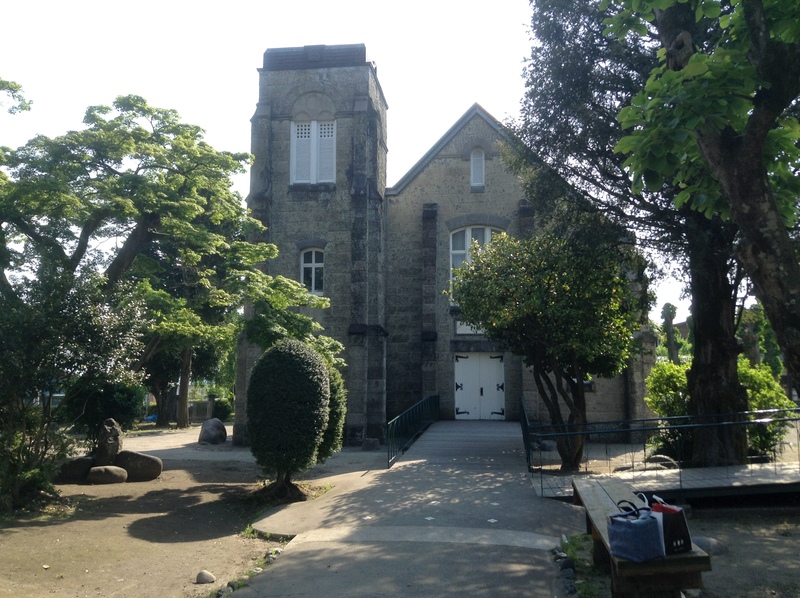 Dwight spoke on what he saw as the future for the Ochanomizu church. They will celebrate 70 years as a congregation in 2019. We worshiped with the Mito congregation in Ibaraki our fourth Sunday. This is the second largest congregation in our fellowship in Japan. A number of Assistant English Teachers [AETs] are part of the congregation. They are employed to teach English in a number of schools in the area. That Sunday about seventy were in attendance split about half and half, Japanese and foreigners, mainly from the U.S.
Frank Bolling, a new pulpit minister for the Park Avenue congregation since 2015, came for ten days (September 7-17) to see the work the congregation has done in Japan through us. We had worked so we could set aside time just for his visit. Sunday we worshiped with the Tomobe church. Marlin and Jeanne Ray were in India, but Yasuki Nishimura, their new minister, and others are doing a good job in their absence. Following Marlin’s death, Jeanne returned to Tomobe October 15. In the afternoon, we took Frank to Omika to see the Ibaraki Christian University and the meeting place of the church in Omika. Jim Batten, long-time missionary and former professor and chancellor for the university, showed us around. Makoto Tateno, minister for the Omika church, is a former Park Avenue member while he studied at HST. 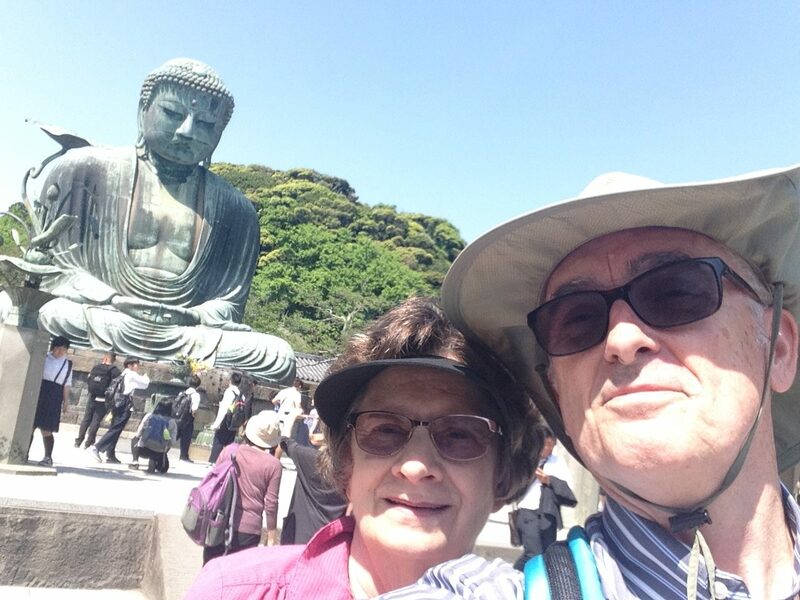 While Frank was with us, we tried to get him out of Tokyo and help him see some historical sites. We overnighted in Hakone which was a customs checkpoint during the 250 years of Tokugawa rule. We did not see Mt. Fuji on that trip either. Since Dwight had an appointment to meet in Uenohara where we had worked for six years, Frank took Dwight’s place on Wednesday night and spoke to the Bible class at the Yokota congregation. Dwight and Naoyoshi Fukushima attended a special dinner meeting in Uenohara. One of the sisters of the congregation has organized these community reach out meetings. Following the third and fourth lessons for JSE on Last Things at Tachikawa, we headed into downtown Tokyo with Frank to visit the Sensoji Temple in Asakusa and Sky Tree (a new communications tower with a new commercial community at its base). Rather than return to Tachikawa for the night and then go back to Tokyo, we decided to try out a “capsule hotel” in the area. That was a nice experience. The next morning, we toured the Tokyo-Edo Museum which gives a good history of Tokyo during the Edo Period and on into the modern era. 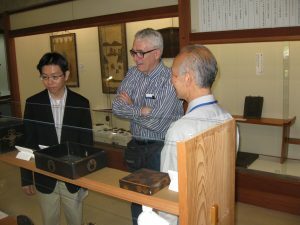 It is always a good place for people to get an overview of the history of the city and of Japan. In the afternoon, we met Tadayoshi Aikawa, an Ochanomizu minister and historian, at the Zoshigaya Missionary Museum. J. M. McCaleb moved to this area in 1907. He built a dorm for students, his house, and a church building. The house is all that remains, but the local government has preserved it for displaying the history of the area including McCaleb’s work. On Frank’s second Sunday in Japan, we worshiped with the Ochanomizu church. This is the largest congregation in our fellowship with about 120 on Sunday morning. They have four elders who oversee and pastor the church. Dwight spoke bi-lingually to a combined worship assembly. Following that, we had a time of table fellowship. That afternoon Josephine shared the lesson she had for the ladies – Hannah’s Face Changed. A written transcript of the lesson was provided for each person and then there was a time for discussion. It is always a lively time for the ladies. There were twenty-five present. While Josephine was in class, Frank and Dwight made a quick visit to the Meiji Shrine where Emperor Meiji is worshiped. He was the emperor who opened Japan to the west about the time of the U.S. Civil War. We put Frank on a bus Monday morning, September 17, for him to return to Memphis. We returned to the church building and awaited the JSE Founding Day’s Lectureship. The school will celebrate thirty years next year. This year a former dean and former minister for the Ochanomizu congregation, Shiro Obata, spoke in the morning and then again in the afternoon. A special treat this year was the attendance of the Young Adult Retreat group. It was very encouraging to see these faithful young men and women who are followers of Christ. 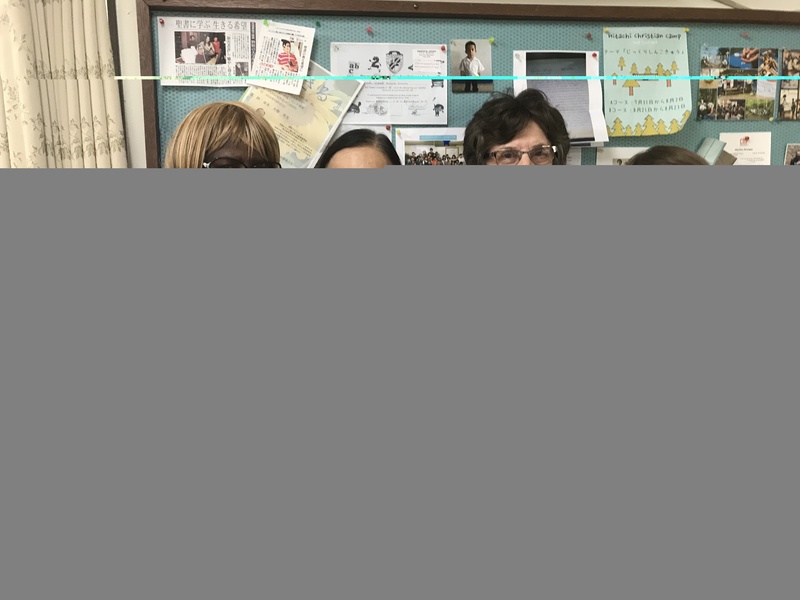 Following the lectureship, several of the teachers met to discuss the thirtieth anniversary of the school next year as well as class schedules and topics. Josephine and I find this encouraging. It is always good to see the interaction and dedication of these brothers. Dwight shared lessons on three Wednesday nights with the Ochanomizu congregation. About eighteen to twenty met for each class. He used lessons on the Last Things for these classes. September 21-22 we were invited by brother Obata to visit the Minami Sanriku area. This is the area which was struck by the earthquake and tsunami on March 11, 2011. Much work was being done to roads, bridges, barriers, and buildings. But there is still so much to do. Japan has had several disasters while we have been here. Several typhoons passed through parts of the country. One flooded the Kansai International Airport shutting it down for almost a week. Hokkaido, the northernmost big island, had a massive earthquake which triggered landslides in the area killing several. It has been a tough year for Japan in respect to these natural disasters. Our seventh Sunday was spent with the Tachikawa church. Dwight spoke in Japanese for the morning assembly and then used the same sermon in English translated to Chinese for the afternoon assembly. The Tachikawa and Yokota congregations have a few Chinese who regularly attend. They have friends who are new to Japan and wanted a service in Chinese. Once a month one of the Tachikawa members translates the sermon into Chinese and arranges things. This seems to be a great encouragement to the Chinese who come. One thing we learned from the service is how far we have come in the Japanese language. That may seem strange, but we did not understand anything during the Chinese service except what little was done in English. That was the way it was when we were first in Japan in 1969 and when arrived as a family in 1977. During the luncheon fellowship at the JSE lectureship, Dwight met a brother who had worked with the missionary in charge of the language school he attended. That was a wonderful remembrance of those who provided that school and how language brings people together. We have many friends because we know the language, however poorly we speak and understand it. 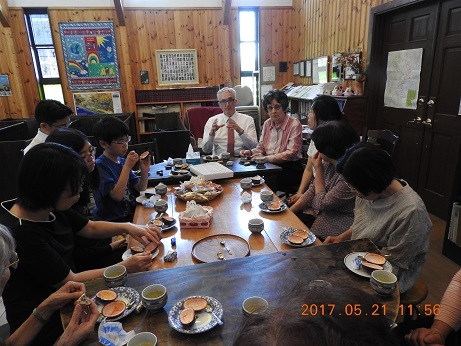 Our eighth weekend, Saturday and Sunday, was spent with the Hachinohe congregation in the northernmost prefecture on the main island. This is a small congregation which meets each Sunday to gather around the Lord’s Table and to praise the Lord. They are a close-knit group who loves to be together. Dwight spoke in chapel for the Ibaraki Christian University. There were seventy in attendance. Yoshiya Noguchi, a former Park Avenue member, serves as chaplain for the various schools in the ICU system. The Omika church provides curry rice for lunch following chapel. During the week various ministers and missionaries are on campus at the religious center to speak with students. It is a good outreach. Our ninth Sunday was spent with the Haruna congregation. This group was started by brother and sister Obata following his retirement from the Ochanomizu church fifteen years ago. The last few days on our Japan Railways Pass were spent traveling to visit former members and students around Japan. These are times to connect with people and encourage them. 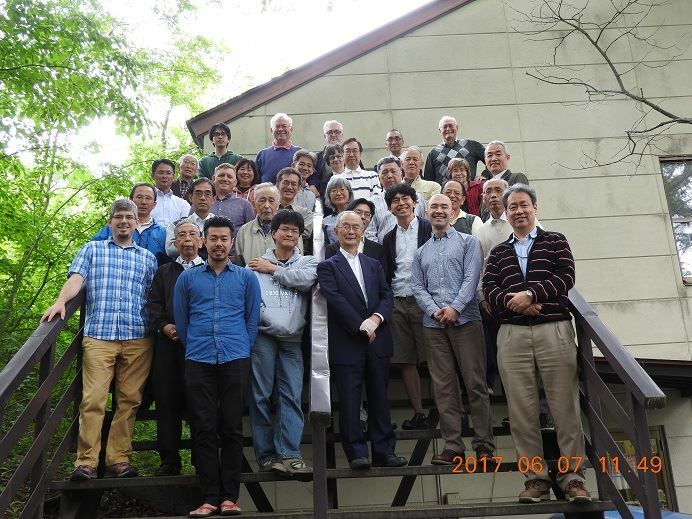 We were able to participate in a bus tour organized by the Ochanomizu church of works associated with O. D. Bixler and pre-WWII evangelism in the Ibaraki Prefecture. It was an encouragement to see the work done in this area. We were able to meet several friends. On our last Sunday, we worshiped with the Shirosato congregation.  This is a small congregation in Ibaraki. Following the sermon, they open things up for questions and comments concerning the sermon. This was our twenty-second consecutive year to work in Japan. Since returning to the U.S. in 1986, we have made twenty-seven trips to continue our ministry to Japan. 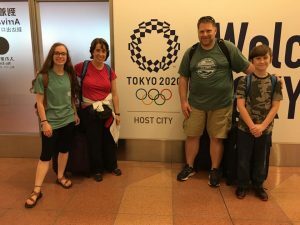 This is possible because of the support and encouragement of the Park Avenue church who has been involved in the Japan work since sending us in 1977. Countless times we hear words of thanks from the Japanese Christians for the congregations and individuals in the U.S. who continue to support and encourage our Japanese brothers and sisters. We thank you for your continued support and encouragement. We would not be able to do this without it. The Yokota Church of Christ planned this service, but I believe that it was the work of God, who answered our prayers. We have decided to host this last December 2017. Since then, we prayed for it weekly at the assembly. I must say God is awesome. He does more than we can imagine and ask for. This is amazing to me. One of the members is very interested in the book of Revelation. In fact, lots of Christians talk about the second coming of Jesus Christ recently. This is understandable if one sees what is going in the world. The state of the world is a chaos in many ways. To me, the book of Revelation has been impossible to understand, so I have left it alone. Since last month I have been reading books concerning this topic. I pulled out some books from my library and started digging in. It is impossible to count the number of different interpretations because it is like counting the number of people in the world. Each person or scholar has his own view slightly different from the rest. I am going to study all the different ways of interpreting the book. This study includes premillennialism. Also, I will study the book of Daniel, which premillennialists heavily rely on. I cannot avoid this study because I need to answer to those Christians influenced by some Evangelical Japanese groups which talk about the second coming all the time. The systematic interpretation of the second coming, premillennialism is very attractive to young Christians, who do not know the implications of this doctrine. I hope my study will be fruitful so that I can explain the meaning of the book to fellow Christians. On 23 November, an area-wide worship service will be held at Yokota Church of Christ. This is an annual event taking place every November. At the preacher’s meeting, we had last year, I volunteered to have one here in Yokota. It is good for the members of the Yokota Church because they can serve God and his people. There is also a practical reason. When it is held far away from us, we have to drive or take a train. It takes at least two hours to get there, but if we have one here, the Yokota members can attend it more easily. The featured speaker of the service is Tadayoshi Aikawa from Ochanomizu Church of Christ. Also, a member of the Yokota Church, Shu Hara, will be one of the two witness speakers of the afternoon service and be talking about how he became a Christian. This is a big day for him. There are four families in the congregation. The first one is the Kropog family from the Yokota Base. They have two boys and one girl. The second one is the Yates family from the Atsugi Base, which is far from us and takes two hours by car. They have two little boys and one baby girl. The third one is the Stroud family, who recently arrived in this area. They have six children, four boys and two girls. Jonathan Stroud works as a librarian in American school downtown Tokyo. The last one is the Griffin family from the Yokota Base. They have one boy. We have lots of children, but we do not have a children’s class yet. We have been talking about. We have another couple. Joe Bickley teaches English in a local school. They live in Tochigi-prefecture, which is very far from us. It takes at least two hours to get here from there. I am the first one to admit that I am not musically talented. I do not read music. I am tone deaf, but I like singing too, just as any other Christian does. When I have a bible study even one on one study, we do singing together. For a long time, I was afraid of singing wrong. I felt embarrassed to sing. In the worship service, my voice can be blended with other off tone people. But I have decided to sing with a person in front of me. This took courage to do so, although I practiced a lot. Anyway, I realized it was so powerful to sing spiritual songs that I did not have to explain the gospel message. It is so plain to them. I know some people have a very soft heart and are easy to be touched spiritually. They had tears in their eyes. Amazing! This is truly amazing. I should have sung those good songs with people even though I knew how awful my voice was. 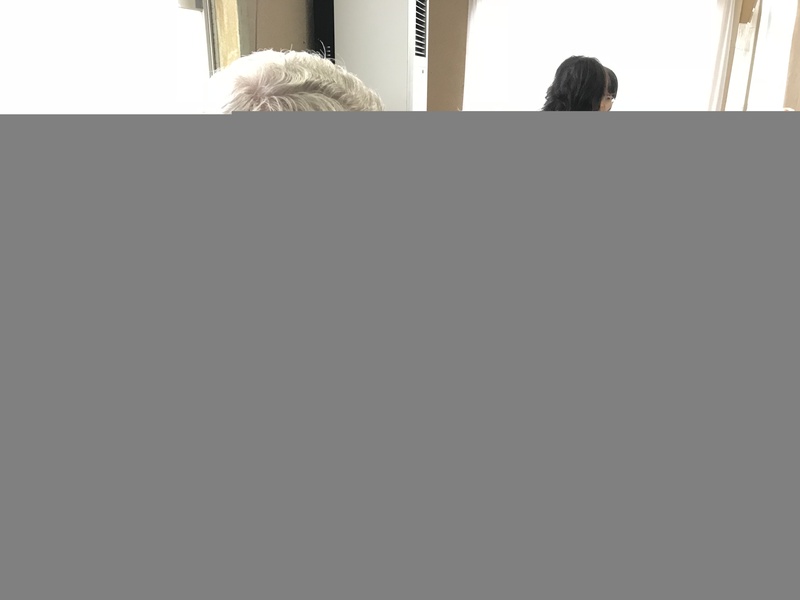 Several weeks ago 88-year-old lady started attending the worship service. Although she has not been biblically baptized yet, she desires to associate with us. She told me that this congregation had refreshed her spirituality. She likes our style of singing without musical instruments. She likes simple messages of the gospel, which she finds easy to understand and relate to herself. “I find myself surrounded by very friendly people,” she said. I am glad to know her more and more. She started a couple of childcare schools and has worked as a principal. She loves children. She wants to know more about God in Jesus Christ. I am blessed to get to know here. Reading good books makes me think whatever topics are. “Inside Out” by Larry Crab is a good book to read. I mentioned it in the previous post. There is another book I highly recommend. That is “Visionaring” by Andy Stanley. I think this is one of those books every Japanese preacher should read. It is about leadership and goal setting. It applies to Japanese churches and preachers in many different ways. One of the chapters is “Moral Authority.” Leaders should never forsake moral integrity for the sake of achieving goals. That is the basic argument of this chapter, but it applies to Japanese preachers a lot. I have learned a lot from this book. Since Japanese congregations do not have eldership, it is easy for preachers to decide whatever he wants to do for his church. Here is a check and balance I have to make for the Yokota Church of Christ so that everyone in the Yokota can prayerfully consider any issue in front of us. I must know I am not someone special in the Yokota church in the sight of God (everybody knows that! ), but especially I have to make conscious efforts to let everyone know major or minor issues or decision or direction we are making. I believe I am entrusted with the Yokota Church of Christ. That means I am held accountable for what is happening here. I have to trust in Him and prayerfully rely on His wisdom. Recently a couple of older Japanese preachers and ministers passed away. Probably next year and the following years more of them will pass away. This is the fact of life. Death comes to everyone. This makes me think that I have to raise up and educate men who are able to teach and preach the gospel. Japan School of Evangelism, where I teach classes, does this kind of work, but that is not enough. I have trained a young man since last year. He has preached seven times so far. Every time he preaches, he improves his communication skills and gets better than before. More importantly, he has to grow spiritually. He has been faithfully growing too. I have another man in mind who I want to help to become a preacher. He and his wife were with us for a couple of years 2013-2015. They moved to a different prefecture, but I have kept in touch with them even after that. They are fine Christians. I pray that they will come back to us so that we can work together for the cause of Christ. When I came to Yokota Church of Christ in 1996, I did not expect to preach and teach for the American congregation extensively. I was single minded to establish a Japanese congregation using the American Yokota church’s facilities. That was only my purpose. God had a different plan. First, God put me to help the congregation to build a new church building. We completed this project in 2008 with the power of God and the help of many Christians. Second, God put me to help the American congregation with preaching and teaching. This is not an ideal situation because I think I am not here at Yokota to work with the American church. It seems there are no escapes for me. Third, God put me to work with a Japanese congregation as I had desired. I still pray daily that God’s will be done in my ministry and I will be free from the dual responsibilities. I would appreciate your prayers and support. When I studied the history of Christianity throughout the ages, I found there was a cycle of repeated events in it. (1) the church grows, (2) false teachings are spread, (3) Christianity is divided, (4) persecutions take place, (5) the repentance of Christians. I do not know where we are in the cycle. But as we face a political chaos everywhere in the world, we Christians need to fix our eyes on the Lord more than ever. I made a Yokota Church of Christ member’s business card a couple of years ago. I put each member’s name on it with the church’s information. I have revised it and put church’s name instead of the member’s name. On the back of the card, I put the vision and mission statements of the church. I have encouraged each member to carry it in his or her wallet. I pray that this will remind each of us of the church’s vision and mission. Not only that, we can hand out our business card to our friends whenever they show their interests in Christ and His church. On 6 July Bro. Stephen Carrell will fly to the US and leave Japan for good. 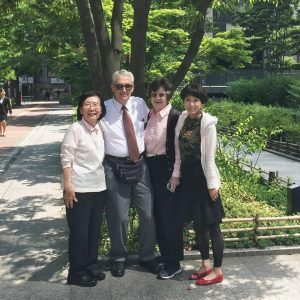 He came to Japan with his parents, former missionaries, Bill and Norma Carrell when he was a little baby. He grew up in Japan until the age of 16. Later years he decided to become a missionary to Japan. He has been in Japan for about 30 years. About 2 years ago he lost his precious wife Debbie. After a long prayer, he has decided to go back to the states and work with Japanese people in the US. Would you join me in prayer for his well being and work? We need a missionary to work with us. Jesus says, “The harvest is plentiful but the workers are few. Ask the Lord of the harvest, therefore, to send out workers into his harvest.” (Matt. 9:37-38). If you know anyone who is interested in working with us, please let us know. He can stay in the church building (not the best place of the world). We really pray to the Lord and ask Him to send us workers. I expect him to work with both the American congregation and the Japanese congregation. This may not be easy, but we need to stay focused. He may preach and teach for the American congregation. But the main focus of his work is on Japanese outreach. Ideally, he should be fluent in Japanese, but it is not necessary. I have seen some effective missionaries without language skills. Such a missionary makes Japanese natives think “he is one of us.” It all depends on his personality and character. I was going to visit US churches this spring or summer, but I have to postpone it. I will stay in the US at least for two weeks or more. I need to find someone to take care of the Yokota congregation for me while I am gone. Right now tentatively I am thinking about visiting US churches in summer 2018 if the Lord is willing. There are only a few people in the American congregation. We have been in this kind of situation before, so it’s nothing new to me. There is only a morning service on Sundays. We have faithfully kept our Wednesday Bible study. I am willing to preach and teach a class as much as I can. But there must be a limit I can do. So I hope and pray that some more people will come, or some missionaries to help us. As I begin writing this report, we are three days away from leaving. I’ve delayed writing this because of our schedule of activities, but must finally put an account of the last six weeks of activity. 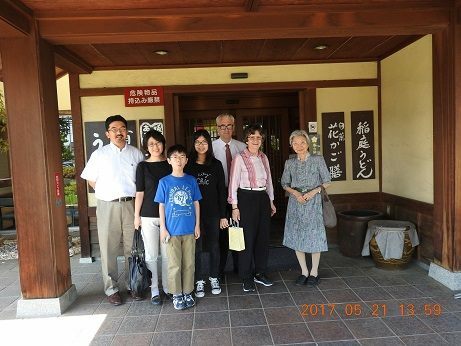 The next day we went to the museum for “Hidden Christians.” Following WWII, Miki Sawada (1901-1980) founded the Elizabeth Saunders Home to help American-Japanese mixed-race children. She fought much prejudice and opposition from the community for her work. This caused her to become interested in the “Hidden Christians” who were persecuted when Christianity was outlawed during the Tokugawa Era (1601-1868). She set about collecting many articles associated with Christianity when it was introduced into Japan in the mid-sixteenth century and later outlawed and persecuted. She would retire to the room where these items were kept for prayer and meditation. Like these earlier persecuted Christians, she gained strength to continue with her work with these children in spite of opposition. She was a member of the Anglican Church. We worshiped with the Shirosato congregation May 14. This is a small congregation started by Jim and Noriko Holmes. They operate an English school. 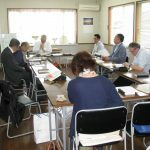 The next day we met with several ministers at Matsudo. This is always a time of encouragement. The following Sunday we worshiped with the Haruna church. This congregation was started by Shiro and Rumiko Obata after he retired from his work with the Ochanomizu church in Tokyo. The church is composed mainly of women. The church is involved with the community and has a good reputation for service. The Obatas continue to work with those displaced by the March 2011 earthquake and tsunami in Northeast Japan. While with the Obatas, we visited the first Protestant church started by Japanese in Annaka, Gunma. Joseph Neesima (Niijima) went secretly to the U.S. in 1864 near the end of the Edo Era. While in the states, he became a Christian as well as graduating from university and seminary. He is the first Japanese to receive a bachelor’s degree. Upon returning to the Annaka area, he converted others, and they formed the Annaka church in 1878. He later moved to Kyoto and in 1875 started what later became Doshisha University. 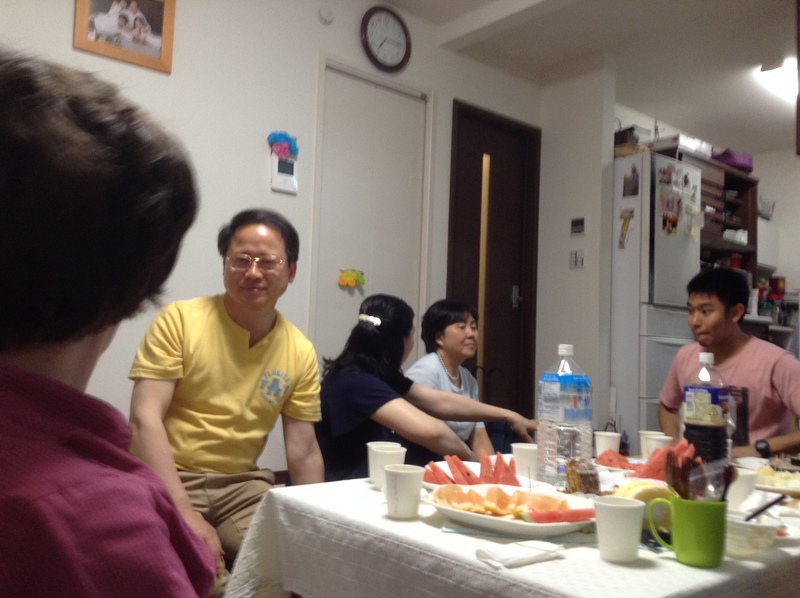 We were able to attend a house meeting at the home of brother Oh and sister Ryu. He is one of the elders of the Ochanomizu church. Most of the year they host a gathering in their home on the last Saturday of the month. 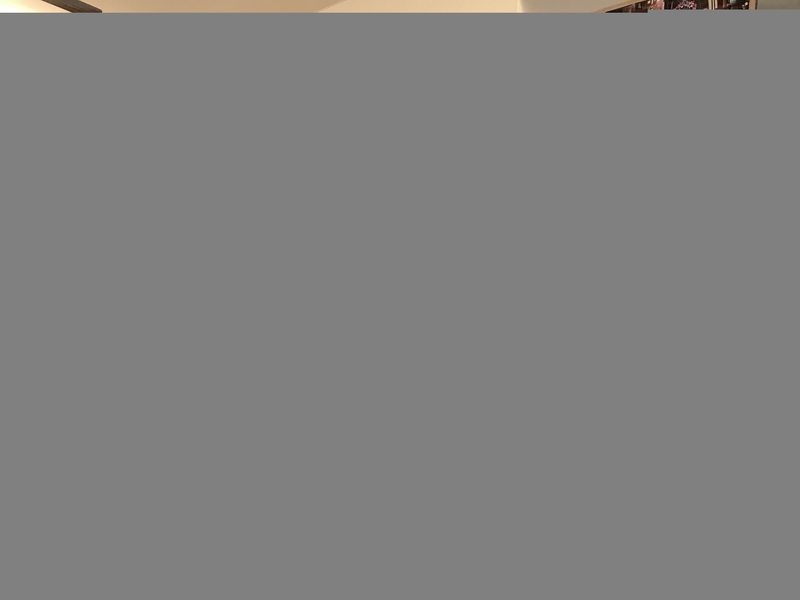 I shared a lesson from Psalms followed by a fellowship meal together. I took a break from preaching on May 28. 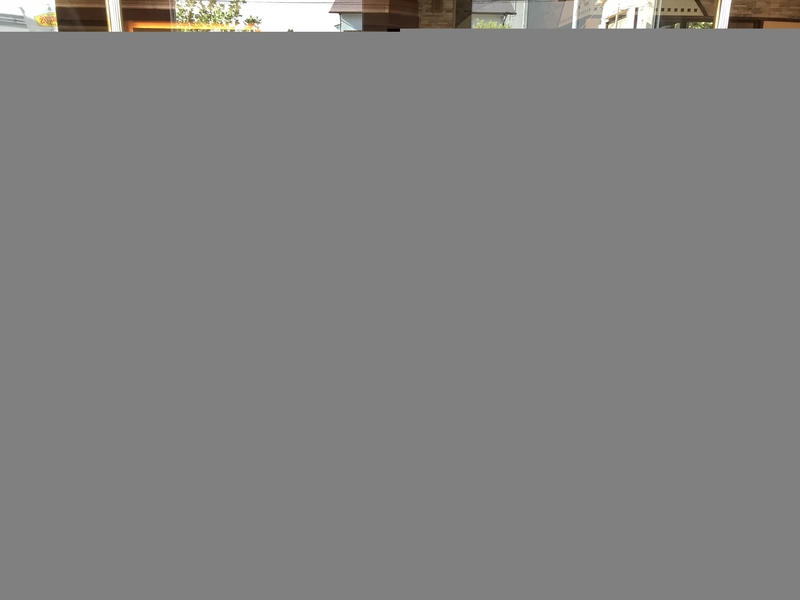 We went to worship with the Ochanomizu church. They were surprised to see us. One of the older members took us out for tea that afternoon. It was a beautiful day in Tokyo. 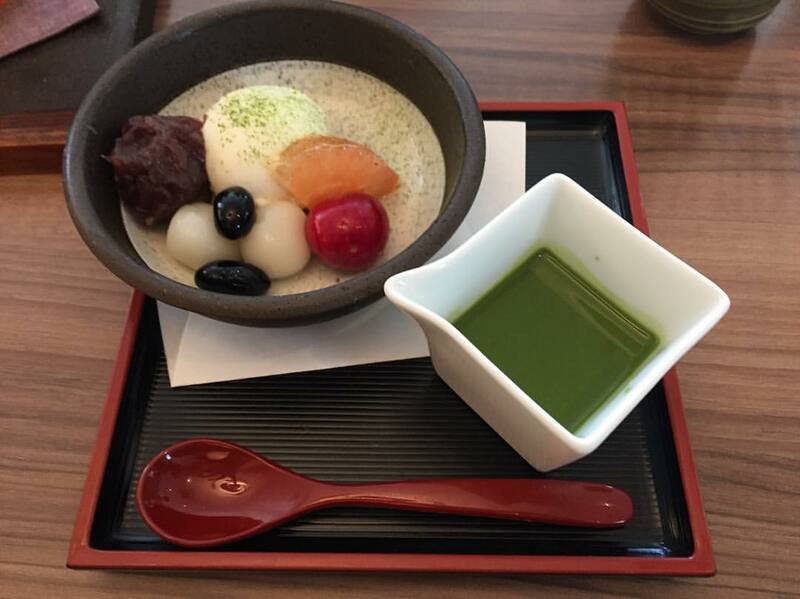 We took brother Nao Fukushima and his wife, Noriko, out for breakfast for his birthday, May 29. They both are wonderful hosts for our times in the Tachikawa church’s dorm. Their apartment is down the hall from us. We rely on them for many things during our stays. 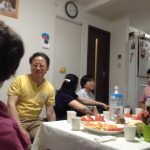 The first two Sundays in June I preached at the Tachikawa Church. The commute is great – from the third floor to the first floor. These lessons were in a series Nao Fukushima is preaching from Chronicles. The first had to do with giving based upon the gift giving for the building of the temple by Solomon. The second was about the new temple of the Holy Spirit, the Christian, based on God’s Spirit filling the temple after it was built and purified. 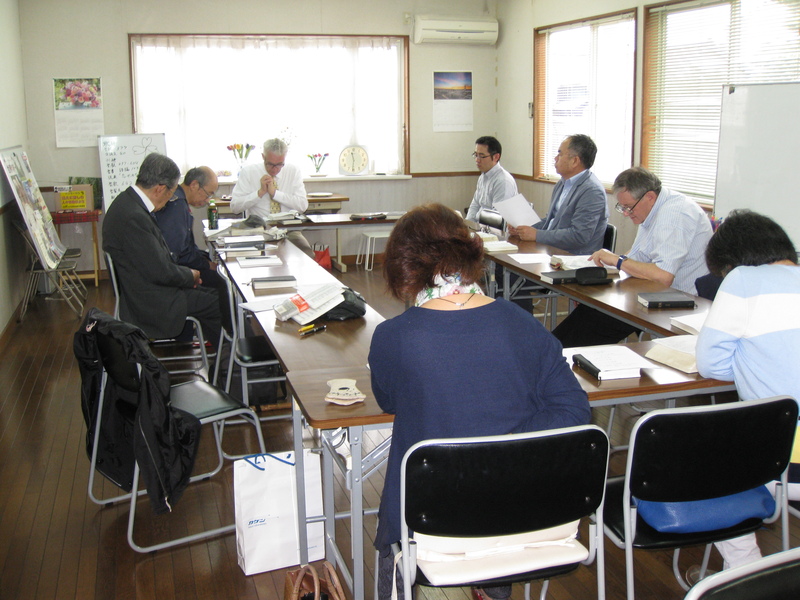 Most of the weekdays for the previous four weeks were spent in preparation for the All Japan Ministers’ Meeting June 6-8. I was assigned to speak on women’s roles in the church. I began preparations in early February when I received the topic. I finally began to write down my thoughts and study ending up with seventeen typed pages. The next task was to translate that into Japanese so it could be corrected. This was finally completed the day before we left for the retreat. The presentation seemed to accomplish what was wanted. I will now check the Japanese and add footnotes so it can be published as a record of the meeting. Brother Ikeda, who preaches for the Megumi Christian Church in Kobe, also made a presentation discussing trends in the Christian Church. Upon returning to Tokyo June 8, we met the Fowler family at the Palace Hotel in Tachikawa. They will stay in Japan for two weeks. Rachel lived in Japan from age three to twelve while we were missionaries. Clay and Rachel worked on a Let’s Start Talking effort twenty years ago before they married. Both Anna and Benjamin have had some Japanese language classes in school. 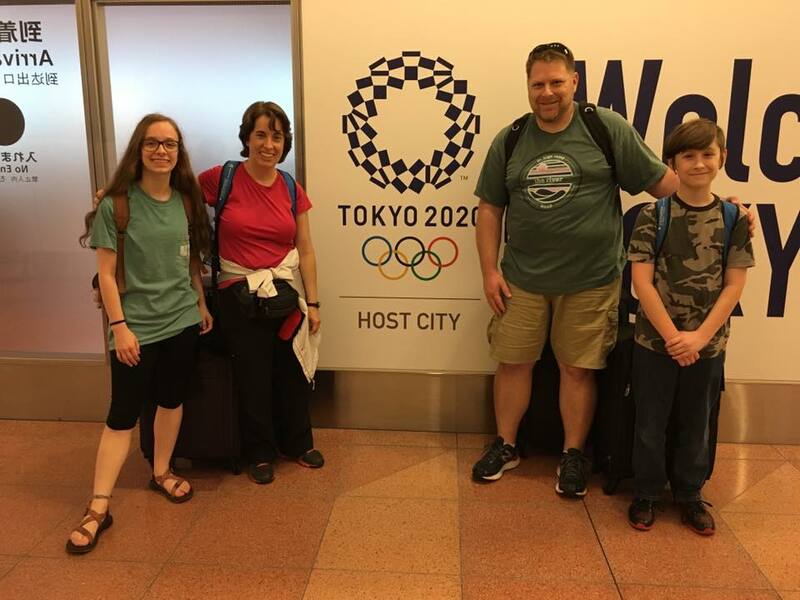 This was an opportunity for Rachel to share some of her growing up in Japan with her family. But that’s for another report. There are two tasks Japanese ministers are facing. One is, of course, to reach out to people and bring them to Christ. The other one is to train Christian men to understand sound doctrine and be able to preach and teach the Gospel. I have been doing the second task with Shuhei since two years ago. He was baptized in the name of Jesus for the remission of sin about 7 years ago, but he was confused about different denominations and their teachings for a while. First, I tried to get to know him better and became a very close friend. After the Bible study, we go out to eat together and talk a lot about not only the Bible but just about anything. Last year I asked him to preach. He was very happy to do so. But I needed him to understand the sound doctrine taught in the Bible. Gradually he has become aware that the Bible needs to be taught correctly. Just like a sermon preparation class, I have been teaching him how to prepare a sermon. Practice makes perfect. Lots of trials and errors, he has improved a lot. I am very happy to see he has grown spiritually in Christ. There are no congregations near Atsugi Base. There was a congregation on Yokosuka Navy Base, but not anymore. I have heard it dissolved in the beginning of 2017. 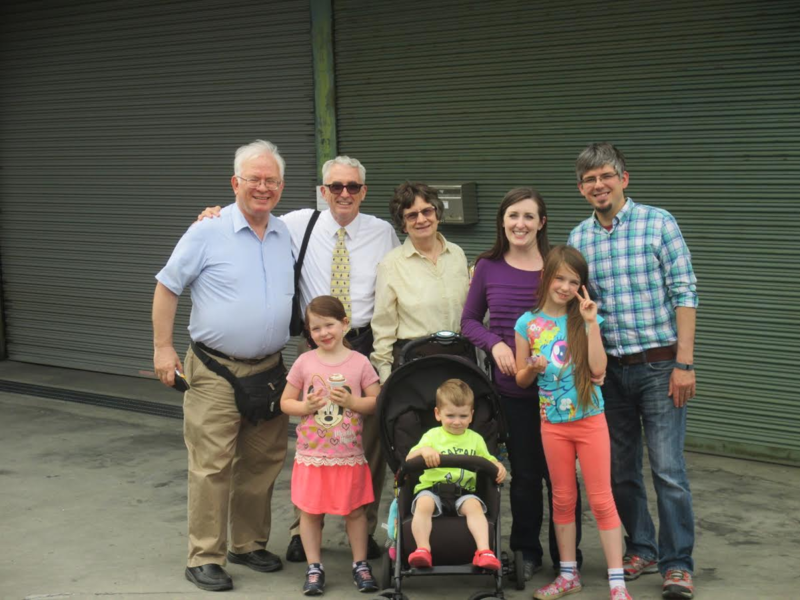 Therefore, two families from Atsugi Base were looking for an English speaking congregation, and they have found us. One of our members is from Shanghai China. Her name is Boni. She has been living in Japan for 20 years. Recently more and more Chinese people live in Japan. Some of them attended their churches back in China. They look for a place for worship. Tachikawa Church of Christ (not far from Yokota) also has a Chinese member who has lots of friends from China. The Tachikawa Church has agreed to let Chinese people use their building. They will have a first worship service in the evening this Sunday at the Tachikawa building. 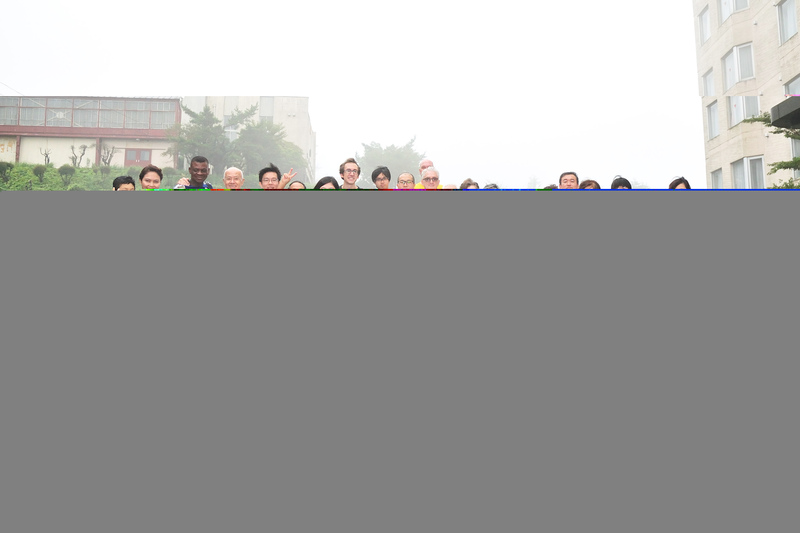 Our member Boni also tries to take part in this mission and help those Chinese people. I will attend the first service too. We ask God for wisdom to reach out to them.